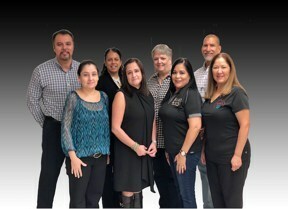 Staff: (left to right) Gonzalo Sandoval, Raquel Cantu, Rosie Fluegel, Ann Vega, Brenda Huston, Rosario Garza, Danny Galeana, and Cris Garcia. Raquel Cantu has over 20 years of professional experience in both teaching in an elementary classroom and in the integration of technology into the classroom curriculum. She taught in the elementary level for nine years as a 1st Grade and a 2nd Grade Bilingual teacher. Currently, she is a Technology Specialist with the McAllen School District. She has been a specialist for 14 years and she has seen that students enjoy using technology as a learning tool. As a Technology Specialist she has worked on finding ways to integrate more technology into the classroom curriculum. Having the opportunity to do this has allowed her to find many different activities, websites, resources and projects to use in the classroom that will help introduce students to learning through the use of technology. She is also a certified online instructor and has created a few courses via Project Share and iTunes U.
Rosie Fluegel has been a leader in Instructional Technology at McAllen ISD for 19 years. Rosie is at the forefront of Mobile Device and Web 2.0 technologies and she's deeply committed to helping learners understand the transformational power of technology. She has spoken at local, regional and state technology education conferences. 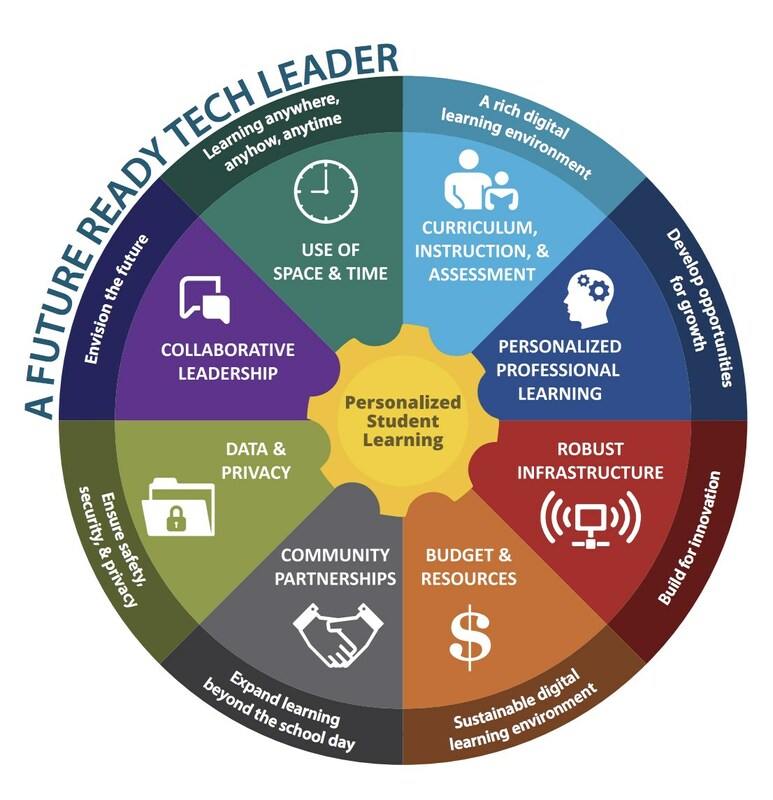 Rosie works closely with classroom teachers, principals and district administrators to achieve best practice technology infusion into teaching and learning. Rosie is a certified Apple Learning Specialist. Daniel Galeana has been an Instructional Technology Specialist for the past 18 years at McAllen ISD and is the CEO of a website development and graphics company. He is a certified online instructor and has presented at T.C.E.A. and Region1 conferences. He has taught elementary, middle school, and high school during his teaching career in both traditional and alternative settings. He has his FAA Remote Pilot Certification and Public Safety Remote Pilot Certification which allows him to provide extensive Drone training across McAllen ISD. Rosario Garza has been with the district 5 years. She started in the Mobile Device Distribution Center managing the districts inventory for iPads and iPods. Currently, she is the Library Services Specialist for Library Services. She orders supplies and books for all 32-district libraries. Rosario also assists the Instructional Technology department where she continues to manage inventory for iPads, Chromebooks, and laptops for students and staff. Along with training and assisting CTF staff with TipWeb IT and Airwatch. Rosario also has 25 years experience in accounting. Gonzalo Sandoval began his career in education as a secondary mathematics and computer science teacher in Edinburg, Texas. After earning a Master’s degree in education, he moved to McAllen ISD as a technology specialist in 2002. As a technology specialist he provides ongoing staff development for teachers and administrators in McAllen ISD. Technology trainings include iPad integration in the classroom. He provides support for district wide technology components currently implemented in our district such as Robotics and Google Apps. He just earned a master’s degree in Computer Science at the University of Texas RGV. Ann Vega has been an educator for 30 years. She has taught in Cypress Fairbanks ISD, IDEA Public Schools, and McAllen ISD. She was a technology specialist with Region One ESC where she worked across the valley supporting teachers. She is passionate about technology and how integration should work seamlessly within all subject areas. She is a library advocate and loves how libraries have evolved. Ann is a certified Google trainer and worked to set up Google Apps for Education (now called G-Suite) at IDEA, Region One and McAllen ISD. Ann won the 2013 MVP (Most Valuable Presence) TASL Award from the Texas Library Association and the 2017 The SHSU Dr. Bonnie Thorne Outstanding Service Award from Sam Houston State University. She began working on a Doctorate of Instructional Systems Design and Technology at Sam Houston Stare University. She is currently the Director of Instructional Technology and Library Services at McAllen ISD.